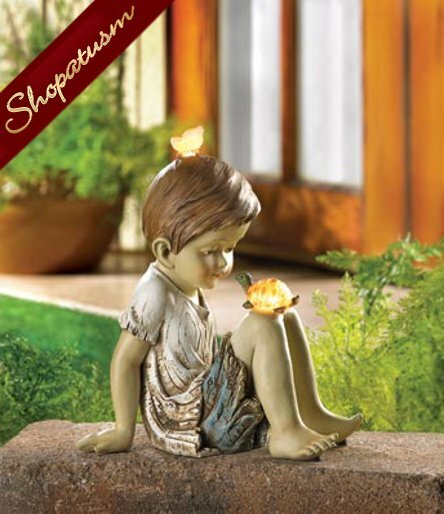 This is for a boy turtle butterfly solar garden sculpture yard statue from Shopatusm. A bright-eyed boy shares a playful moment with his beloved pet turtle; a visiting butterfly joins in the fun. Light-up solar accents add a charming glow to your garden after dark! Weight 2 lbs. Polyresin. Solar powered battery included. 5 3/4 inch x 9 inch x 10 1/2 inch high.